Iga Kender-Jeziorska is a PhD student in political science at Corvinus University of Budapest. Her main areas of research are drug policy and non-governmental organisations. She has been involved in the field of drug policy since 2011, having worked as an outreach worker in a Social Drug Policy Initiative in Poland and managed the substance use library of the DrugText Foundation in the Netherlands. 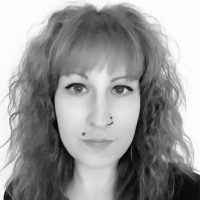 She is currently the coordinator and a member of the Board of Advisors in Youth Organisations for Drug Action, Chair of the Working Group on EU Drug Strategy and Action at the Civil Society Forum on Drugs (advisory body of the European Commission).